Over the last few years Big Finish have been filling in the gaps of 1960s Doctor Who with The Early Adventures. These part-narrated stories have focused on William Hartnell and Patrick Troughton’s Doctors, each for a series at a time, meaning that this in 2016 it’s once again the First Doctor’s turn for four new monthly adventures. Kicking things off is The Age of Endurance, written by Nick Wallace. This story will see William Russell and Carole Ann Ford reprising their roles of Ian and Susan from the early sixties, with Russell also voicing the Doctor. 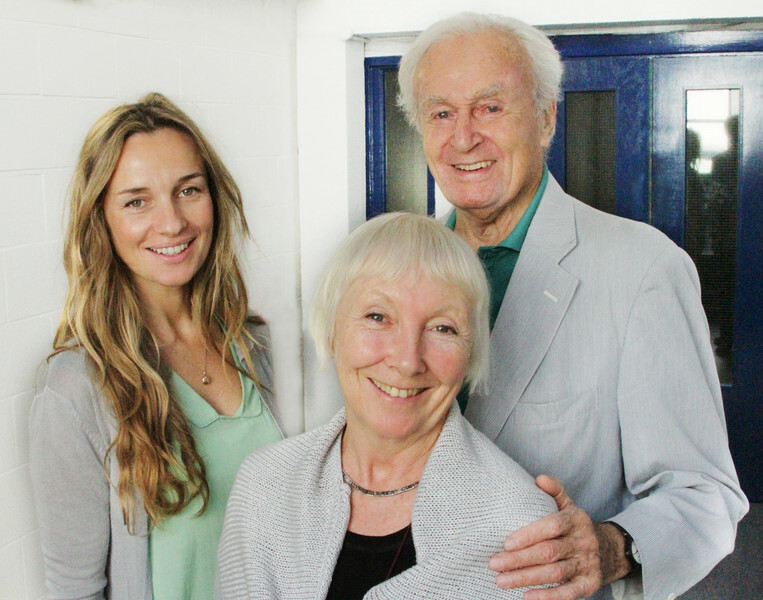 This will also be the first time Jemma Powell has played Barbara on audio, having starred as Jacqueline Hill (the actress who originally played Barbara) in 2013, in Mark Gatiss’ docudrama An Adventure in Space and Time. The Age of Endurance sees the TARDIS land aboard the Vangard, a deep space vessel which is boarded by the forces of the military dreadnought Endurance. The crew are fleeing a race known as the Shifts and the travellers soon become embroiled in this battle for survival. Guest starring in this release are Gethin Anthony, Rachel Atkins and Andy Secombe. Following, in October, Philip Lawrence’s The Fifth Traveller, which sees Russell, Powell and Maureen O’Brien reprising their roles in a story where the TARDIS is infiltrated by an unexpected presence. James Joyce, star of Big Finish’s UNIT: The New Series, joins as the crew of Season 2 as the mysterious Jospa. The cast also includes Elliot Cowan and Orlando James, who starred in Doctor Who’s fiftieth anniversary story The Day of the Doctor. November brings The Ravelli Conspiracy by Robert Khan and Tom Salinsky. These two playwrights are new to Big Finish, but you might know them from works such as Coalition and Kingmaker. Peter Purves returns as Steven (and plays the Doctor) here, alongside Maureen O’Brien as Vicki, in a historical set in Florence in 1514, which sees the Doctor encounter Niccolo Machiavelli. The Ravelli Conspiracy also stars Robert Hands and Olivia Poulet, Emma Peel in Big Finish’s upcoming The Avengers: Steed and Mrs Peel. Rounding off the series is December’s The Sontarans. The eponymous war-loving species, who made their debut during Jon Pertwee’s last series, have featured in First Doctor stories before, although this looks set to be the first ‘official’ time they have actually come face-to-face. The Sontarans has been written by Simon Guerrier and stars Peter Purves, Jean Marsh (as Sara Kingdom) with stalwart Sontaran Dan Starkey stepping up to the microphone as the clones try and drag the Solar System into an endless war. You can subscribe to the whole series here. It’s worth remembering that subscriptions and pre-orders come with free postage and purchasing any of the above on CD will give you access to a download on the Big Finish site straight away, so you needn’t wait for it to arrive if you don’t want to. This looks to be another strong year for The Early Adventures, and we’ll bring you more on these stories when we get it.